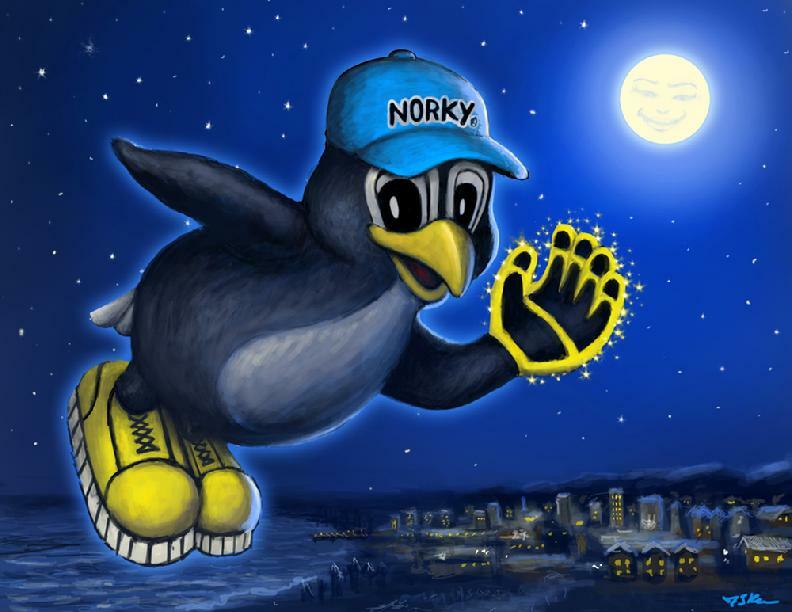 NORKY THE PENEAGLE THE DREAM ADVENTURER with his Magical Glove *click on NORKY's Glove to see the Magic! 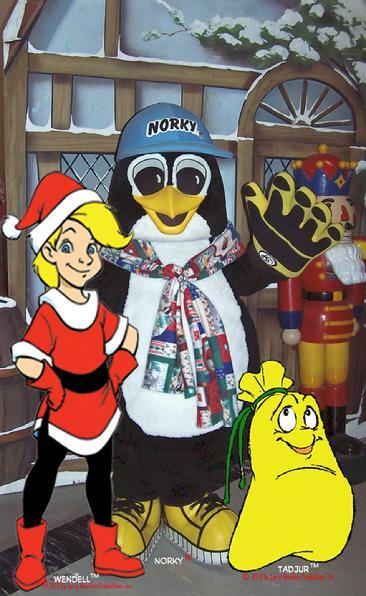 NORKY says: Giving from Your Heart is a GOOD DEED! Hey NORKY! shouts Santa, I understand you're off to travel the World. 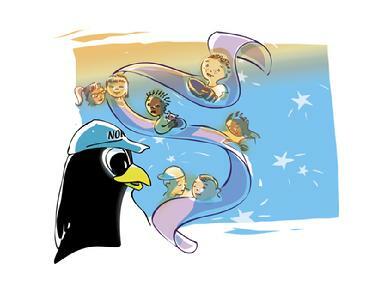 Keep spreading GOODWILL throughout all races and cultures. Don't forget to keep an eye on the Naughty & Nice list. You're in charge all year long. SAFE FLYING! We are also receiving requests from other Countries and are currently working on Translations of this Song in many other Languages (Music Sheets are currently now available now in ENGLISH, SPANISH & PORTUGUESE), so it may be enjoyed throughout the World. Some of the upcoming translations for LIGHT THE CHRISTMAS TREE song for 2018 are Italian, French. LIGHT THE CHRISTMAS TREE by Steve Allgeier & Betsy Hammer "O CHRISTMAS TREE MAGNIFICENT AS YOU REACH OUT YOUR ANGEL WINGS........WE GATHER ROUND YOU EVERYWHERE.....TO FEEL THE LOVE THAT CHRISTMAS BRINGS.....Come Celebrate this Special Night, Let's join together round the Globe, Commemorate this Star-filled Light, As the Whole world starts to Glow. 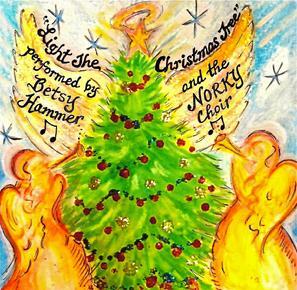 CHOIR: We come in Peace to Light the Tree...Our Ornaments, Our History.....Time to create a Memory...Come Light the Christmas Tree.... (more of the lyrics click on image). 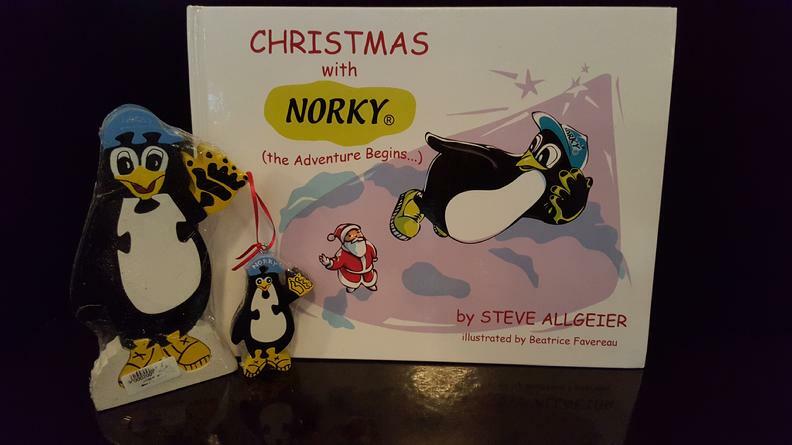 "CHRISTMAS WITH NORKY, THE ADVENTURE BEGINS..." It's a month before Christmas, preparations have begun. 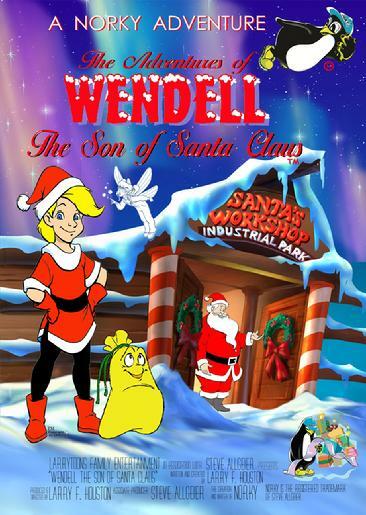 The North Pole's on ALERT, for Santa's Famous Run! The Sky becomes inviting, the Runways are cleared. But who's that taking off? NORKY is Here! The Peneagle, a Hybrid, who's proud and so fair. 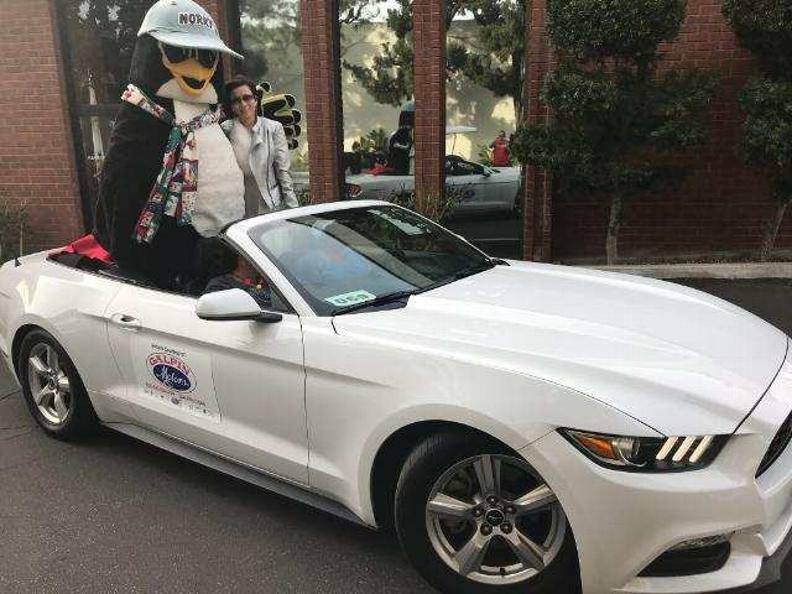 NORKY's a Pen-Eagle, a Hybrid you say? I'm confused and amused, how can this be? 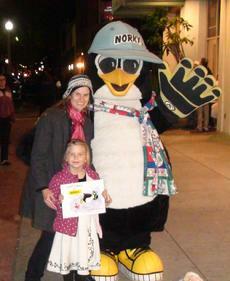 A Penguin is his Mom, and an Eagle is his Dad, They're NORKY's Parents you see! 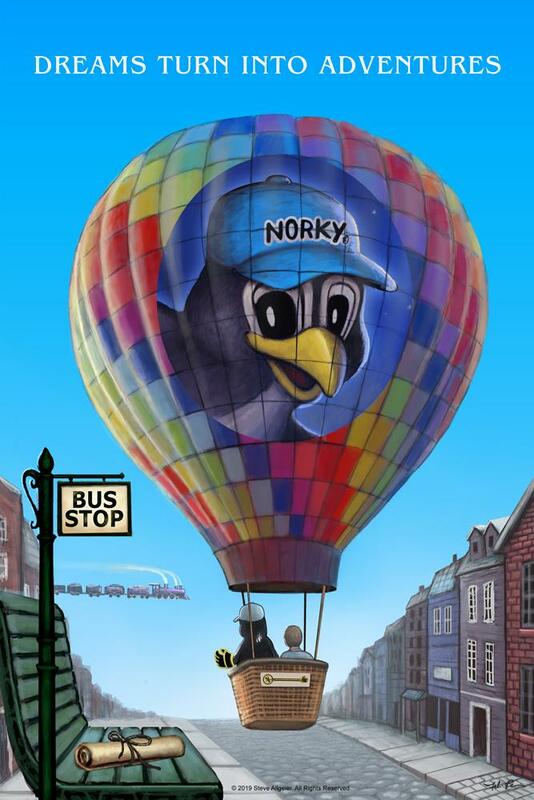 A signal, a cheer, a wink of an eye, And off NORKY goes, up, up to the sky! 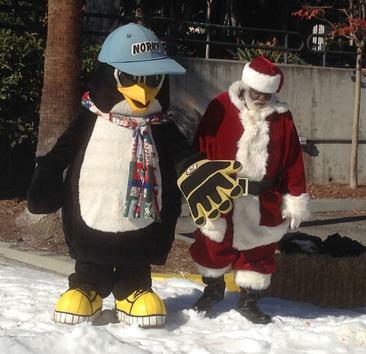 "Hey NORKY" shouts Santa, "I've placed YOU in charge, Of My Naughty & Nice List, and it's very LARGE! So PLEASE, find my Route, search high and search low, Search up in the sky and especially the snow." 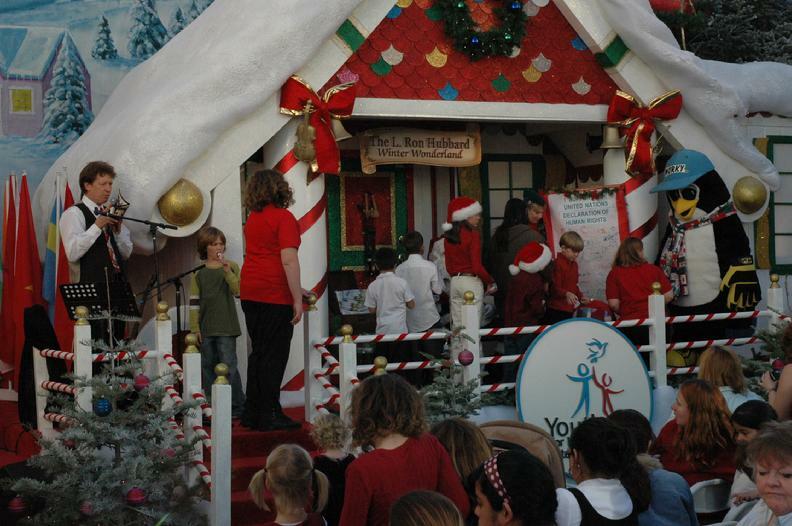 Good Deeds are a KINDNESS, Children must be Aware, That to be REWARDED, they must always SHARE! (c) Steve Allgeier (for more of the story see "How to Order" above). 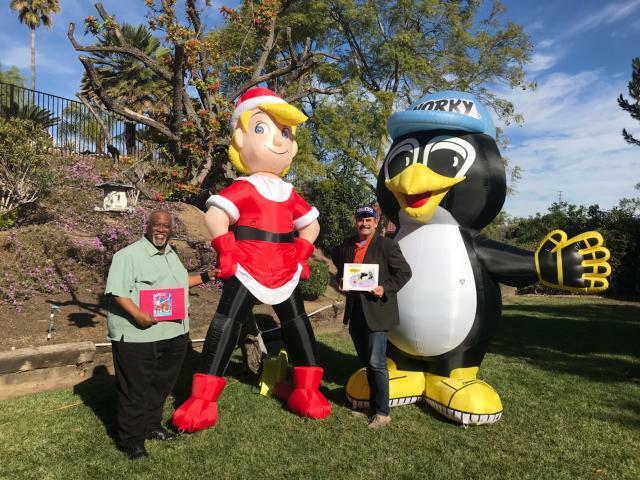 Can't Wait: NORKY will be appearing in the Movie: PROJECT PUPPIES FOR CHRISTMAS! NORKY fans line up to greet NORKY. Click on photo! 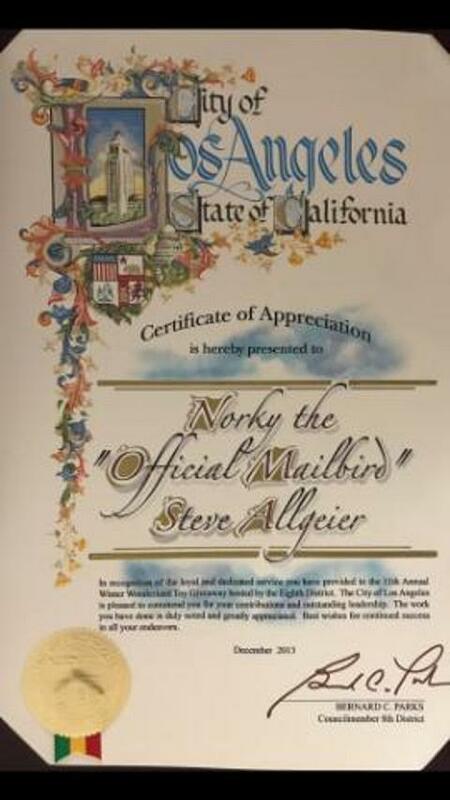 The NORKY Motto: "THE KEY TO MY DREAMS IS ME" (c) Steve Allgeier All Rights Reserved. 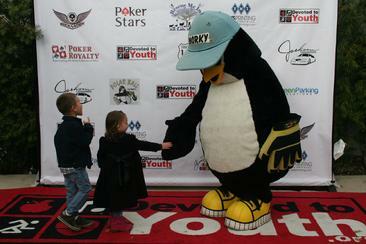 Brady Farmer & kids with NORKY. 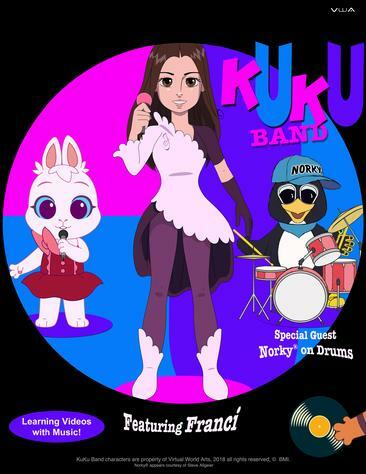 Help Norky promote Peace, Family values, Multi-Cultural Awareness & Diversity. 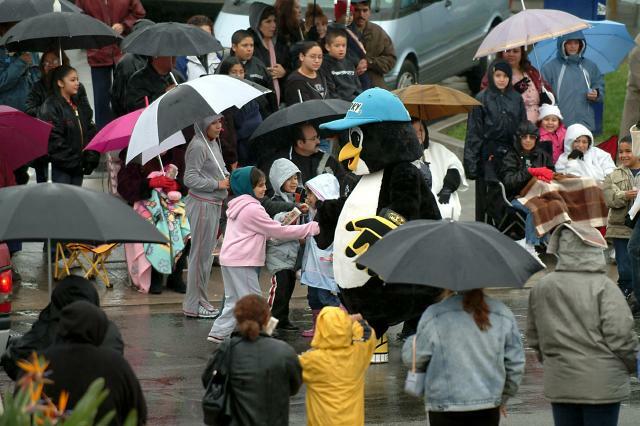 NORKY is also very concerned about Health & Exercise, the Enviroment and Reading programs. 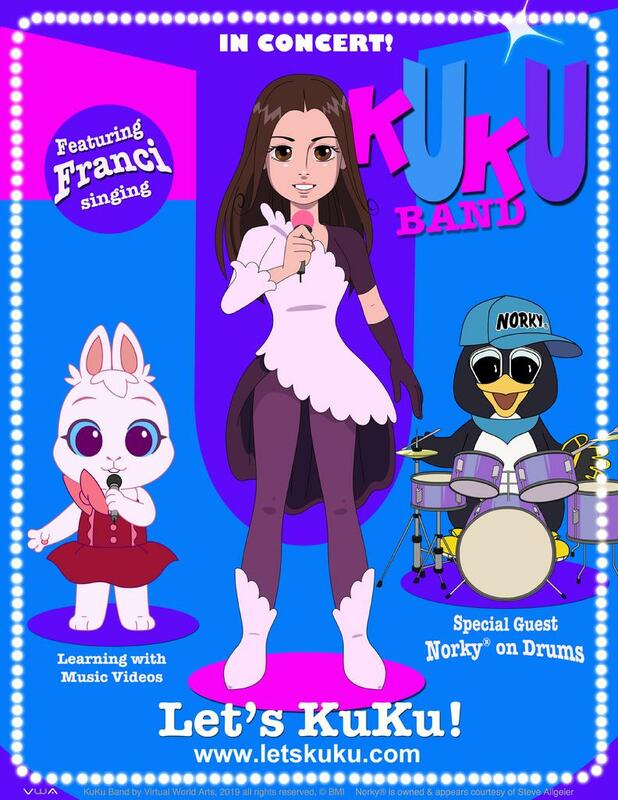 If you would like NORKY to appear or perform at your SPECIAL EVENT please email norky@norky.com for availability. 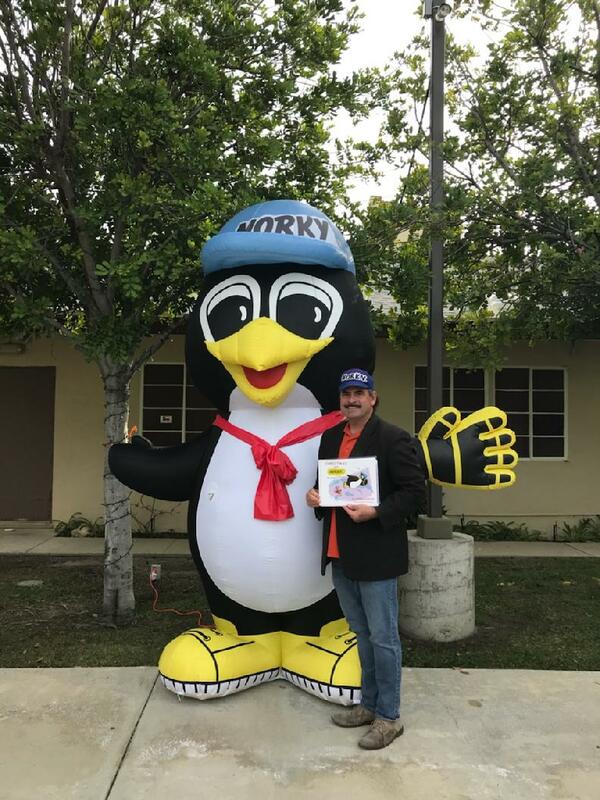 NORKY has appeared at Schools, Hospitals, Special Needs Camps, THE SPECIAL OLYMPICS, Fouth of July Celebrations, Charity Walks, Memorial Day, Baseball games, Basketball games, Christmas Parades, Kwanzaa, African-American Festivals, Chinese New Year Festivals, Hispanic, Latino & Spanish Festivals, Jewish Festivals, Ice Shows, Book Festivals, etc. 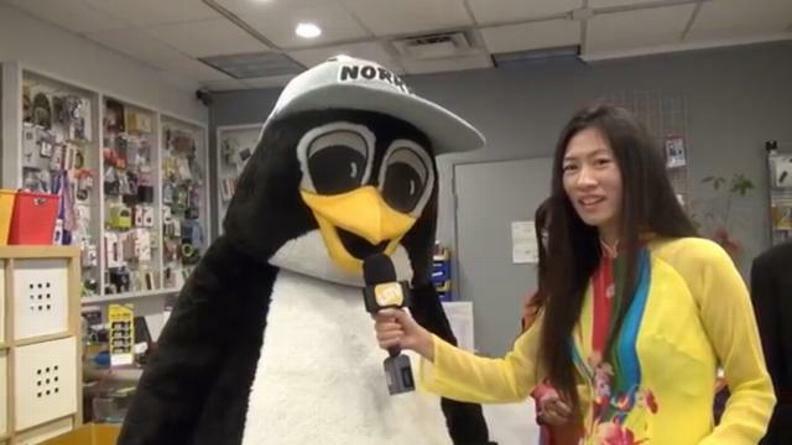 NORKY has also been interviewed on the News. Yes! 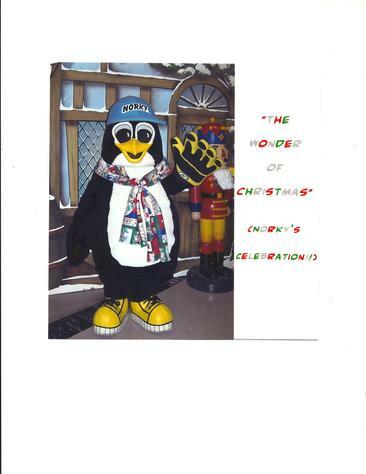 NORKY even Talks and with his Special Big Yellow Shoes, NORKY can even walk/dance on Ice. 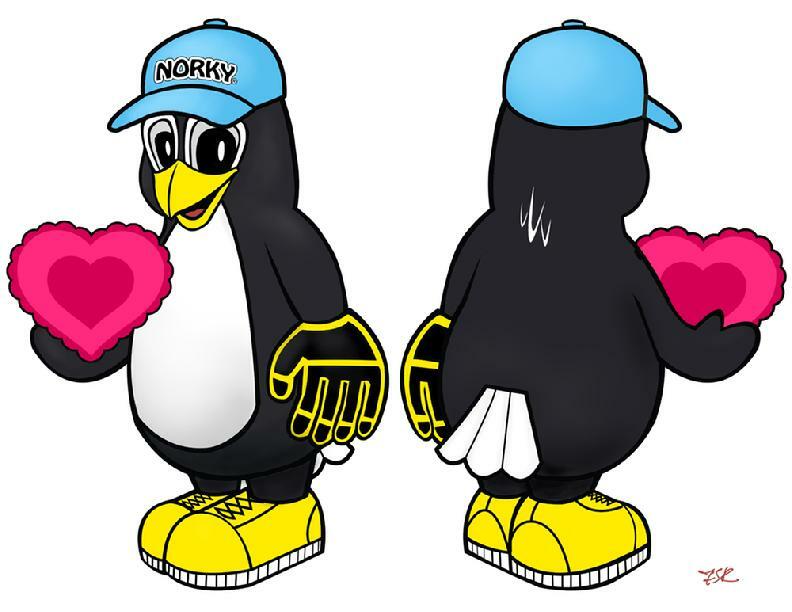 Did you know that NORKY is part Penguin and part Eagle? A PENEAGLE, aka a "penagle" or "pengle" or "eaguin". That is why NORKY can Swim and Fly. Do you know the name of NORKY's Father (who is a Bald Eagle)? 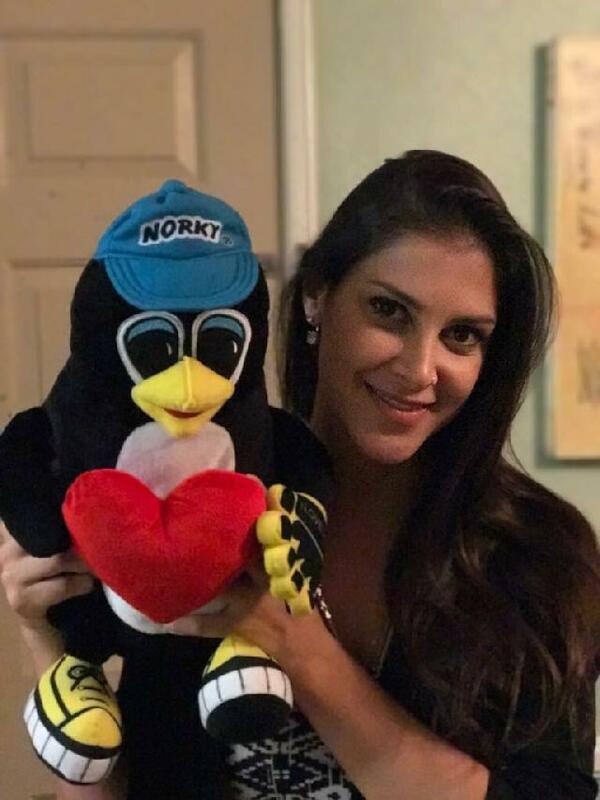 or the name of NORKY's Mother (who is a Penguin)? 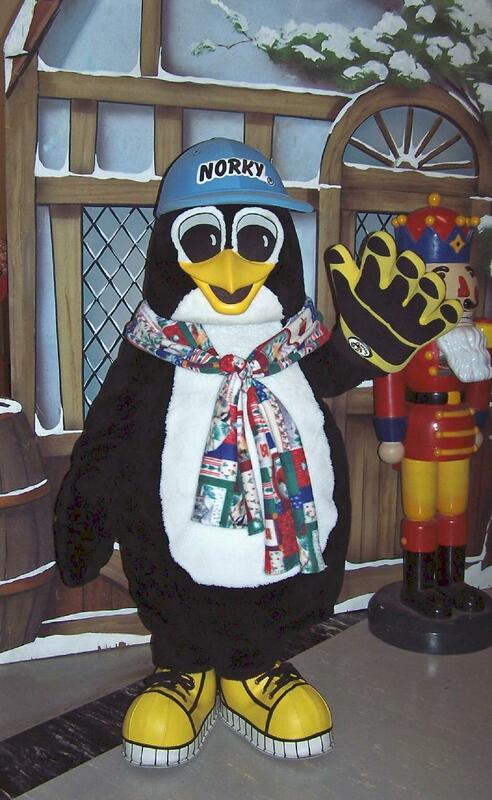 Can you Guess How many Countries and Planets NORKY has traveled to? 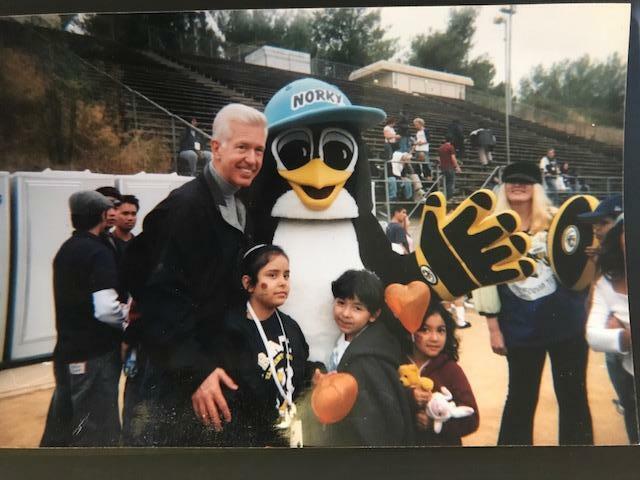 NORKY protects children while they travel during their Dreams. 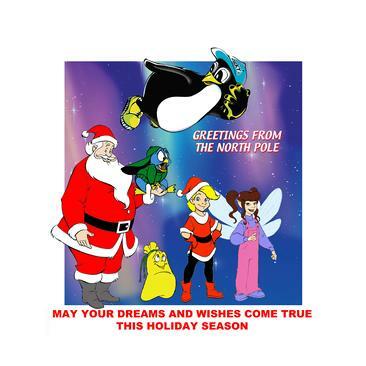 NORKY's favorite game at the North Pole is POLAR BALL (which helps with eye/hand coordination and motor skills). POLAR BALL can be played outdoor, indoors, even in the pool (Yes! it's waterproof). The same glove fits both right or left hand. The NORKY POLAR BALL also comes in many fun colors. 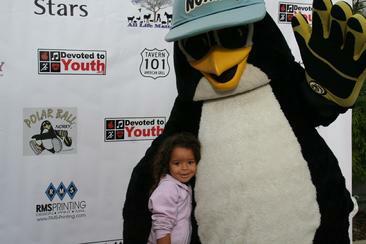 FOR MORE INFO ON HOW TO START A NORKY POLAR BALL GAME/LEAGUE AT YOUR SCHOOL OR PARK, JUST CLICK ON PHOTO ABOVE. If you would like to play POLAR BALL at your School, just ask your P.E. Teacher. 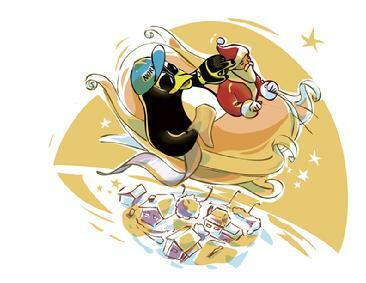 NORKY celebrates LUNAR NEW YEAR. 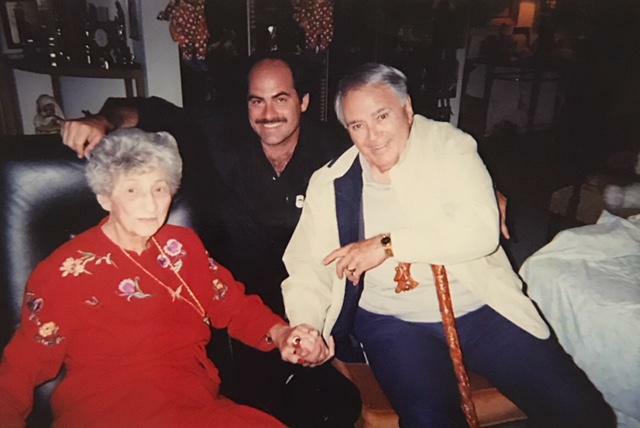 CLICK ON PHOTO TO SEE THE VIDEO! 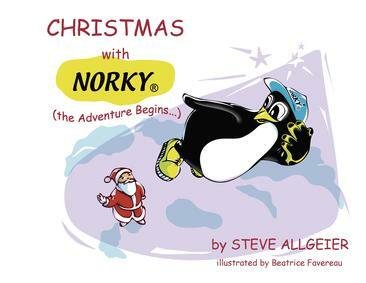 My own NORKY Christmas Book! 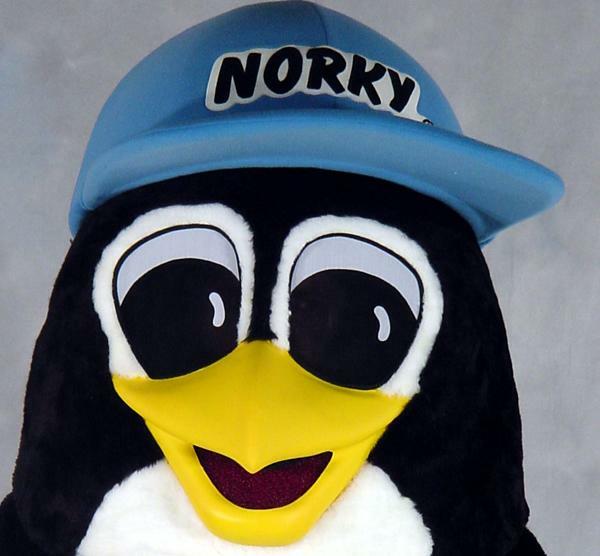 Remember NORKY LOVES YOU. 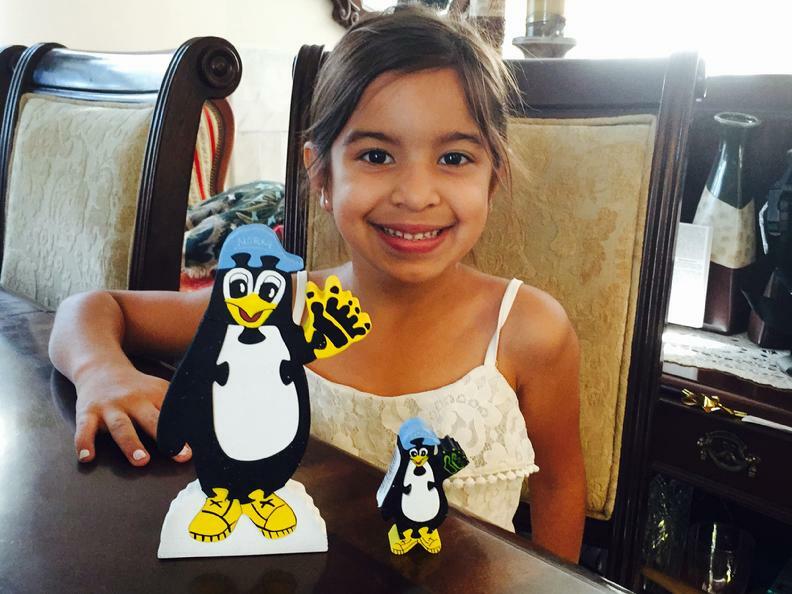 If you would like a NORKY Doll, just email us at Norky@norky.com for ordering info.